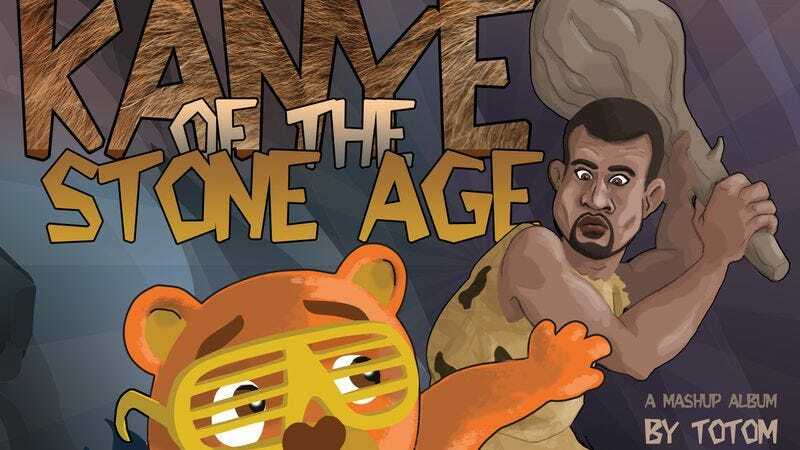 Kanye Of The Stone Age was a time-consuming labor of musical love for its creator. “I packed the first half of the present album quite rapidly a year ago,” Boivin writes, “but as it started to become an important project (plus the media fuss around Kanye West and his new tracks released in between), I took my time and as I was waiting for an artwork, I found new ideas [and] improved other tracks.” Boivin describes Kanye West and Queens Of The Stone Age as “two of my currently most favorite artists,” and his affection for their music shows in the care he has taken to assemble this mashup, which combines its source elements so skillfully as to trick the ear. One might really think Kanye West, already known to be musically restless and impatient with genre restrictions, actually had decided to cut an entire album with Josh Homme and company.